After a rocky start of missing my flight (I won’t go into details for another few years…) I finally made it to Thailand. That’s right, I’m in Thailand, I have been for almost a week. I’m going to fast forward through all the orientation boringness and talk about the moment I put my running shoes on this afternoon. After hours of unpacking today I decided to do a bit of laundry and took that opportunity to do my foolproof maneuver to force myself to go for a run; I put on my running clothes while I still had a few more chores to get done. If I take the clothes off without running I have certainly failed, and I don’t like to fail. An hour later I was lacing up my brand new shoes and it was GLORIOUS. Not only was this a first run in over 7 days, but it was my first run in THAILAND. I could go on and tell you about the ancient Buddhist ruins I wove my way around, I could tell you about all the Thai cyclists I saw and how jealous I was of one guy’s celest colored Bianchi, I could tell you about all the stray dogs along the path or the Thai kids that were chasing them…but really—what I mostly remember is how hot, sticky and humid it was. I mean, 5:30pm should not be that hot. I should not still be dehydrated from it—but when in Thailand, sweat like the Thais. Maybe I’ll get used to it, or maybe I’ll just be drinking a lot more water and learn to ration out my hydration electrolytes! 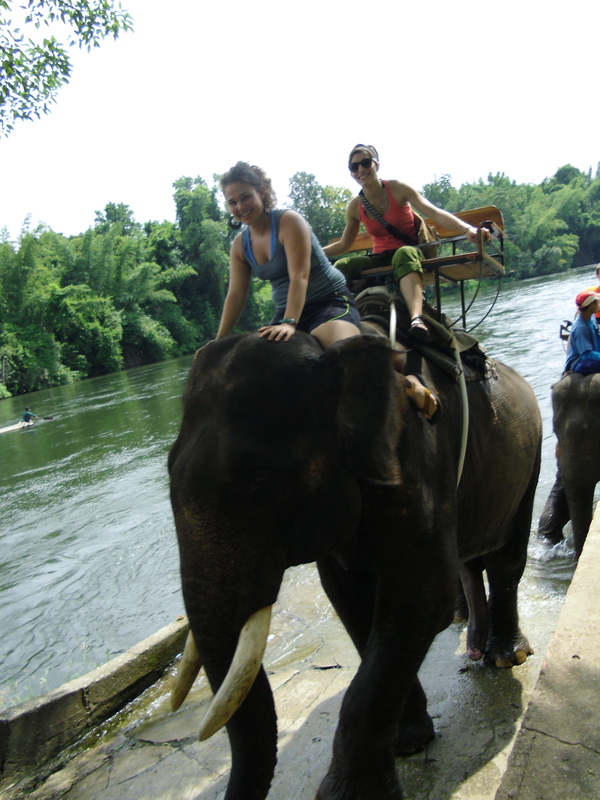 Oh yeah—I also rode an elephant the other day. Siiiiiick! I have a new post brewing with lots of pics!! Enjoy the snow, I was thinking of trying to make some in my A/C! Well good luck with that! 😉 waiting with exitment for your new post! Farangs are always sweaty here. Yet the Thais wear pants and jackets in this heat. Definitely going to take some getting used to!